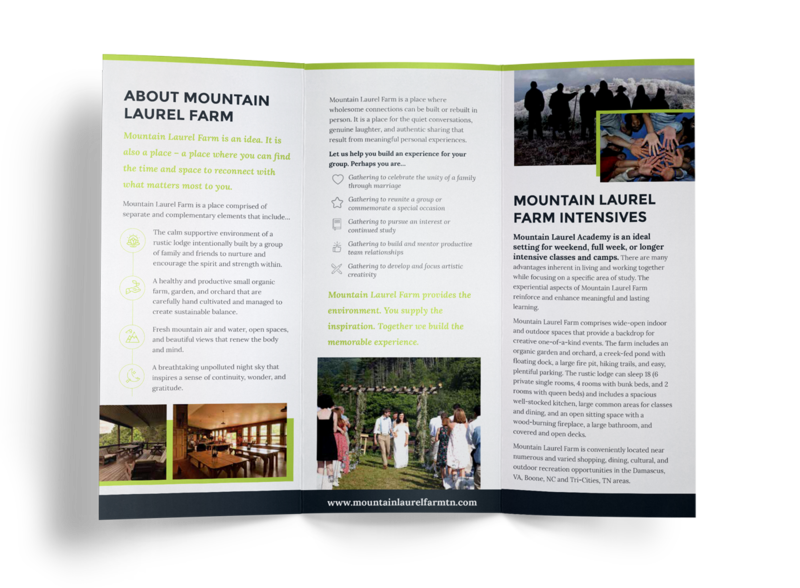 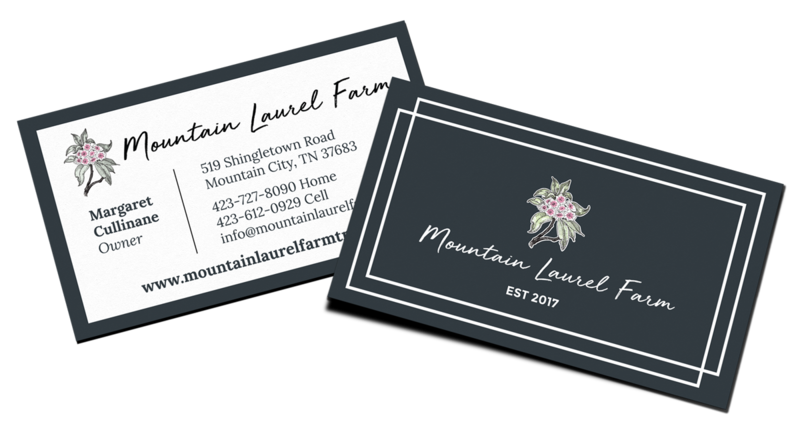 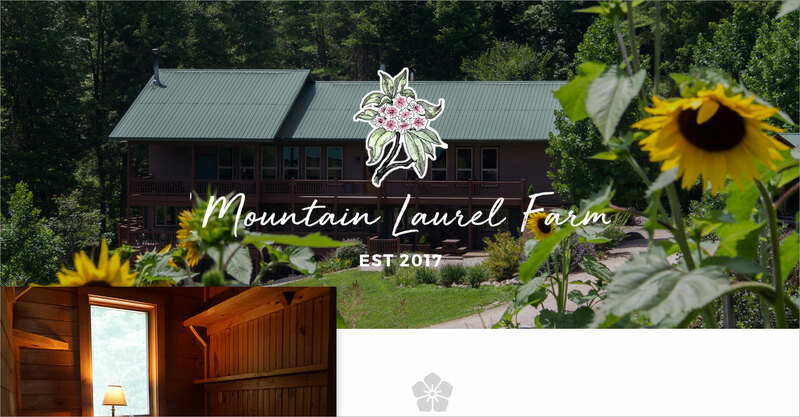 Mountain Laurel Farm is a special event venue located in Mountain City, TN. 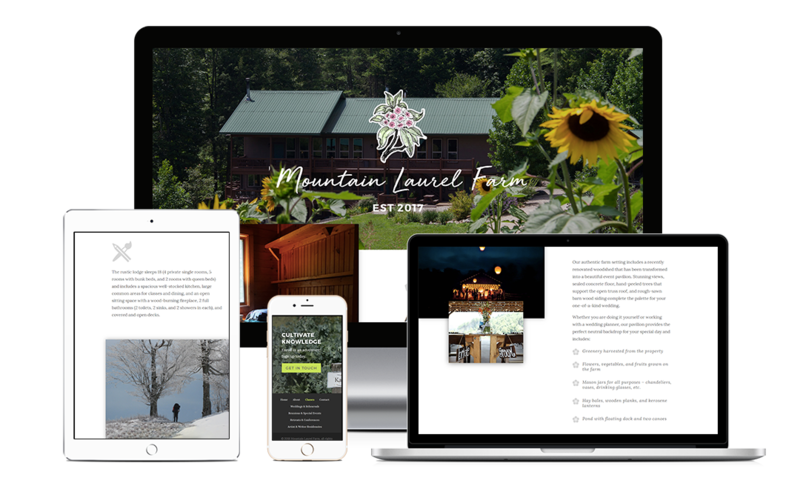 This website was built with the Divi theme from Elegant Themes and was designed to showcase the beautiful property and types of events that could be held at that location. 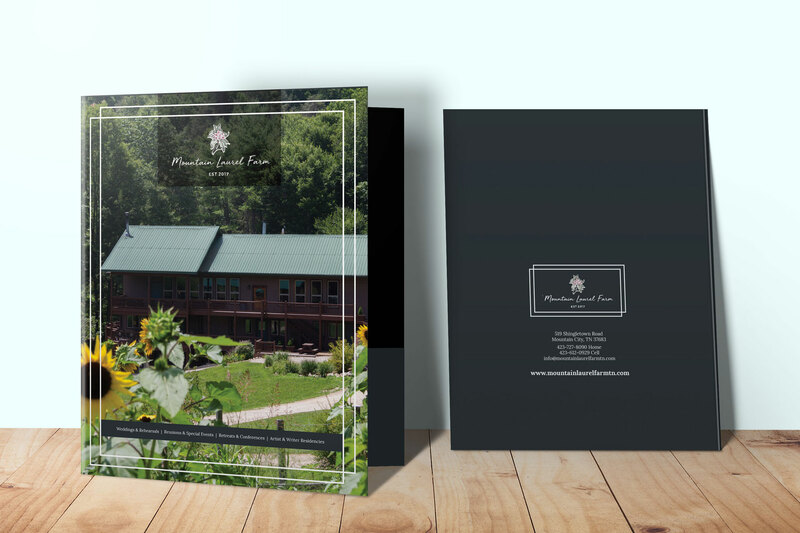 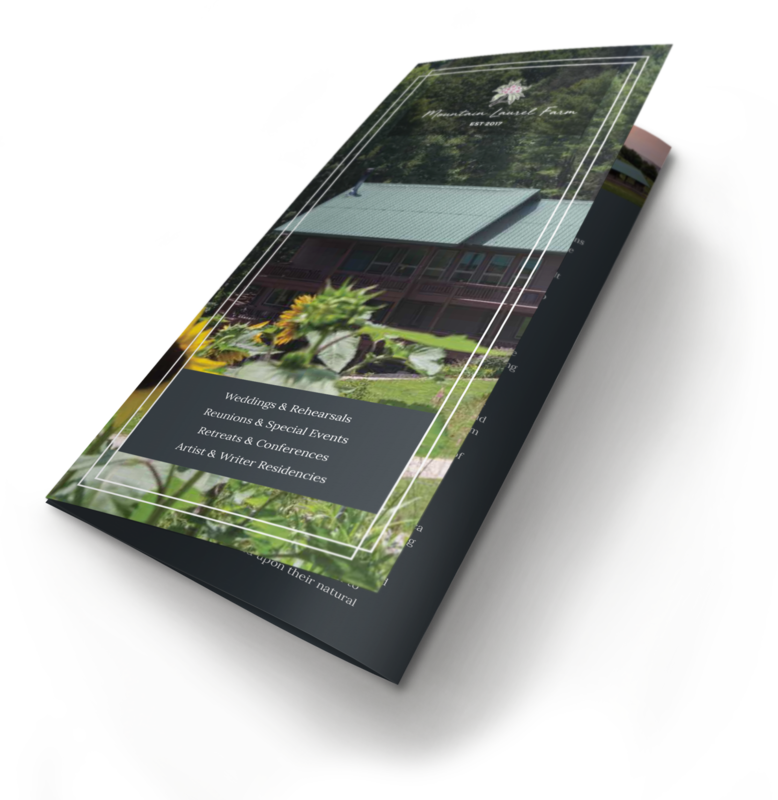 We also designed a logo, a brochure, four rack cards, a folder, and a business card for them.